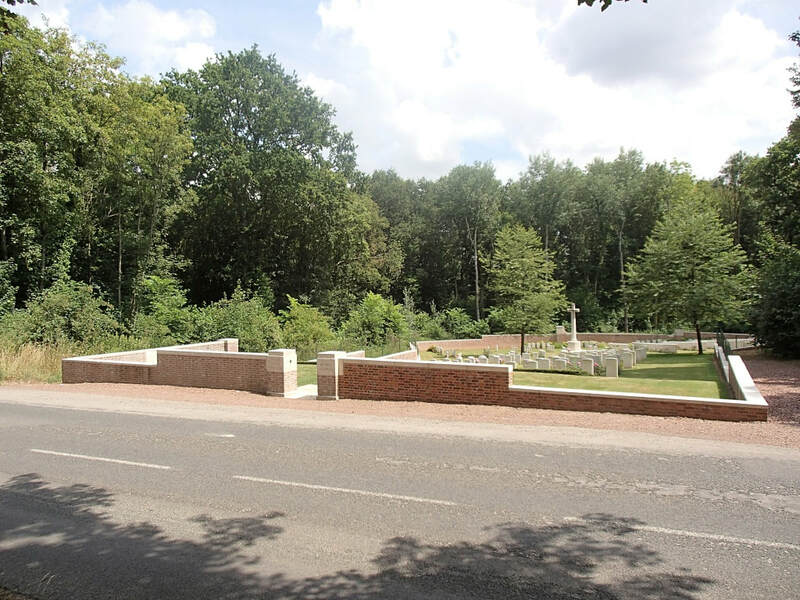 The cemetery was begun in an area known to the Army as 'Lancashire Dump' in June 1916, a few days before the beginning of the Battle of the Somme, and was used by fighting units and field ambulances until the German withdrawal to the Hindenburg Line in February 1917. It then remained unused until the German advance in the spring of 1918. 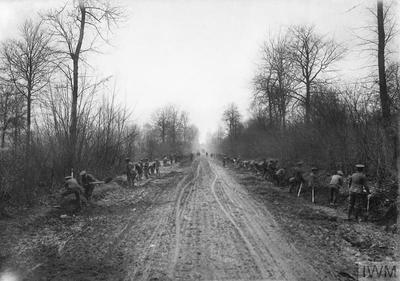 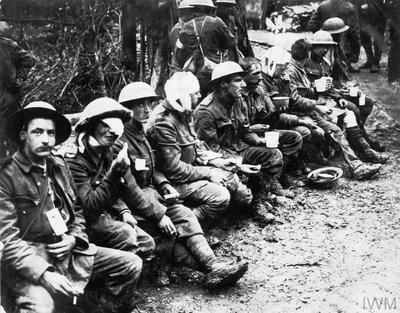 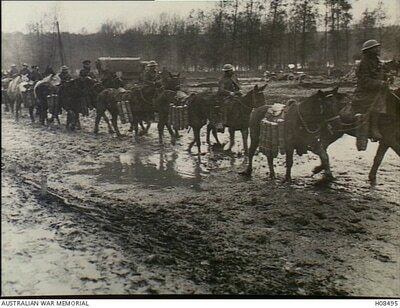 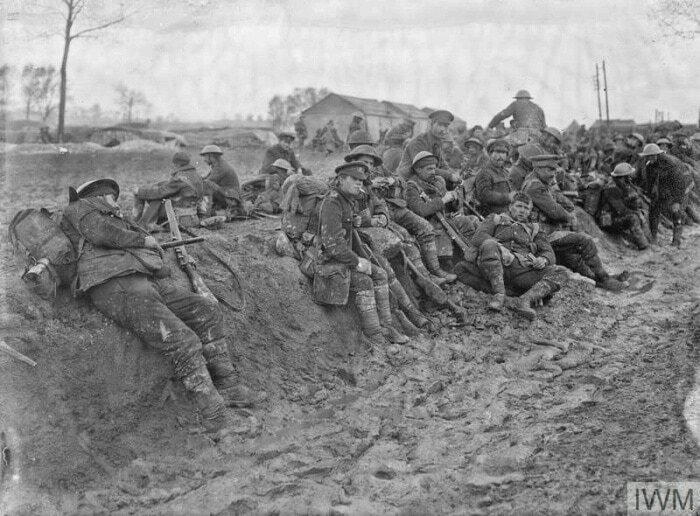 On the night of 26-27 March, the Germans entered Aveluy Wood and by 5 April it was mostly in their hands, in spite of the stubborn defence of the 12th (Eastern), 47th (London) and 63rd (Royal Naval) Divisions. 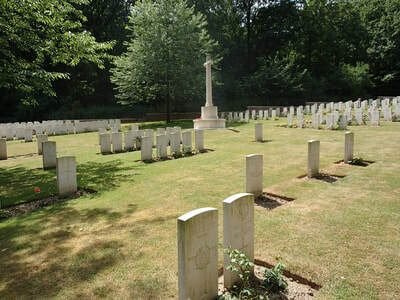 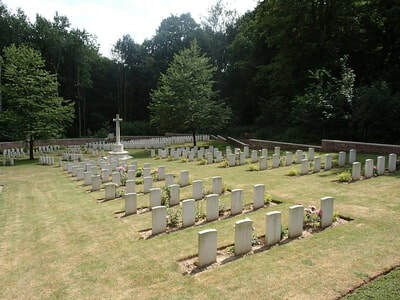 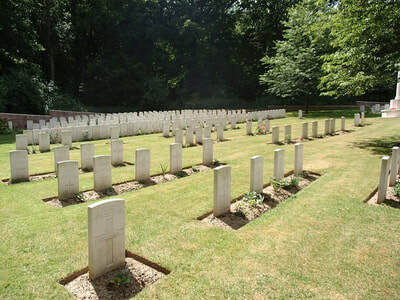 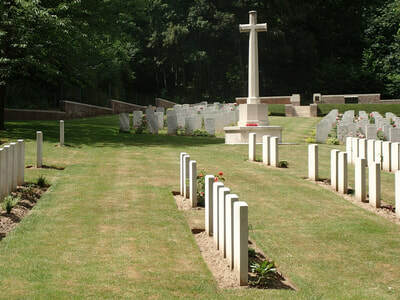 The wood was attacked in vain by several divisions before it was finally cleared at the end of August, and in September the V Corps Burial Officer added graves of April-September 1918 to Row H of Plot I. 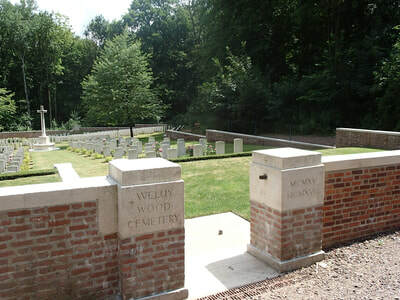 After the Armistice, Plots II and III were added when isolated graves were brough in from Aveluy Wood itself, and in 1923 Rows I to M of Plot I (124 graves) were added by concentrations from a wider area. 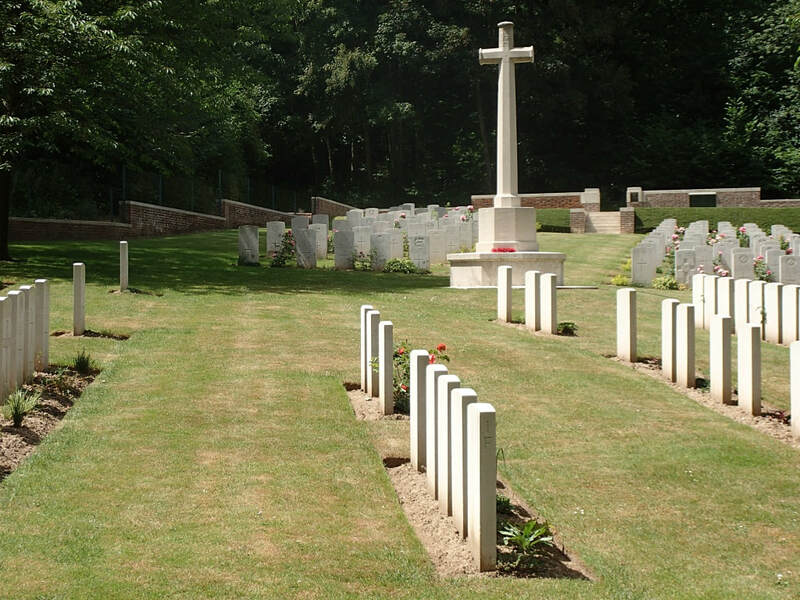 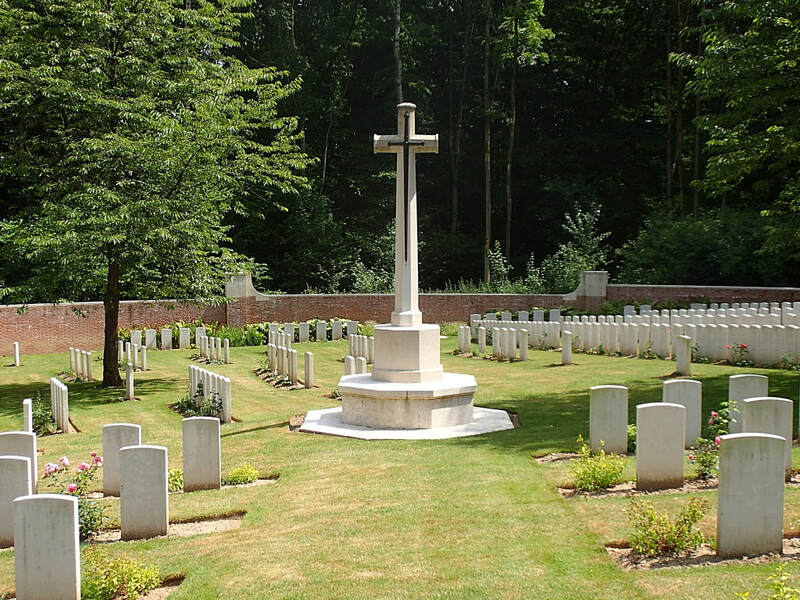 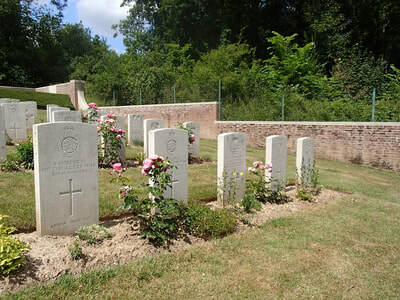 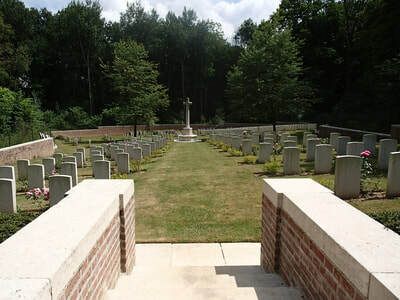 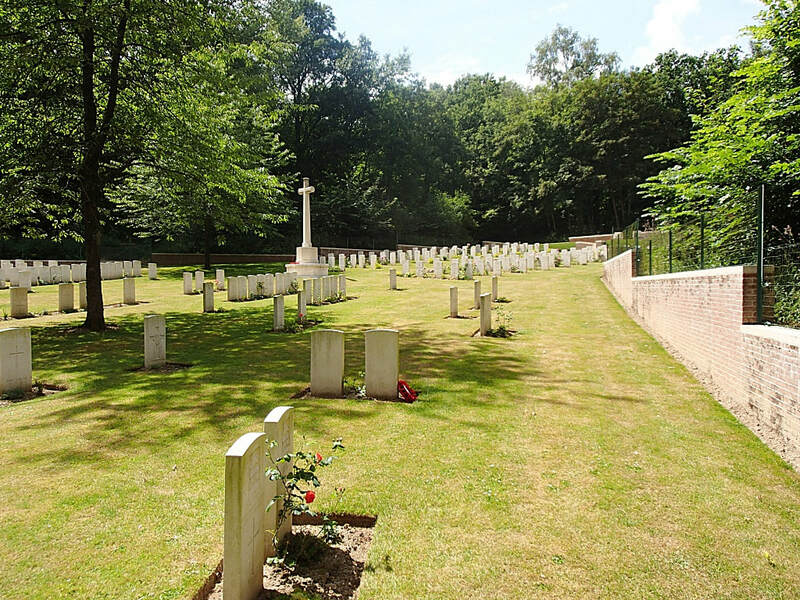 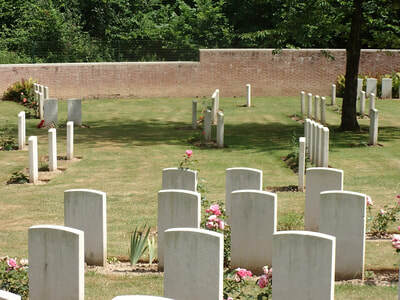 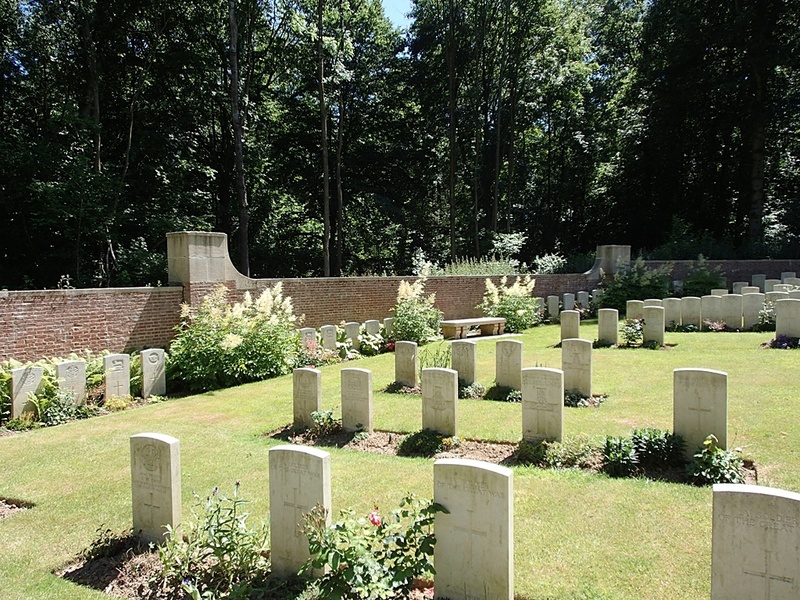 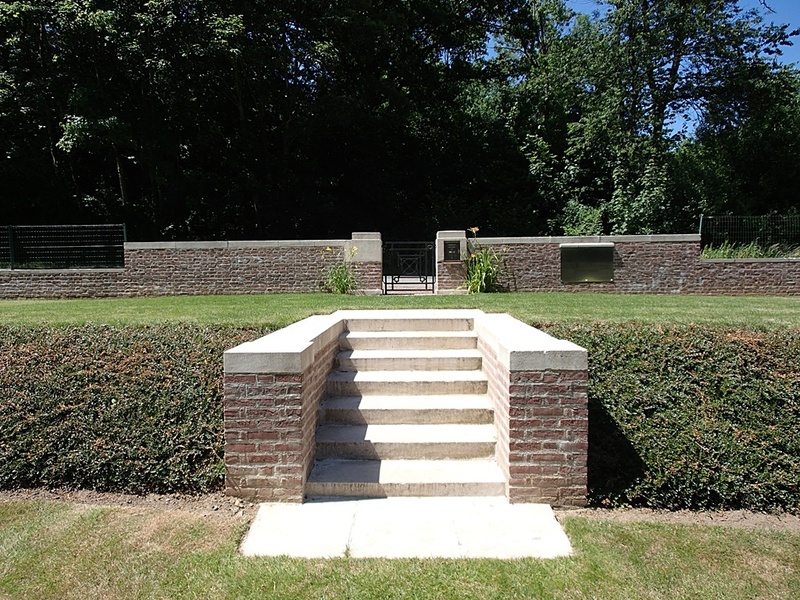 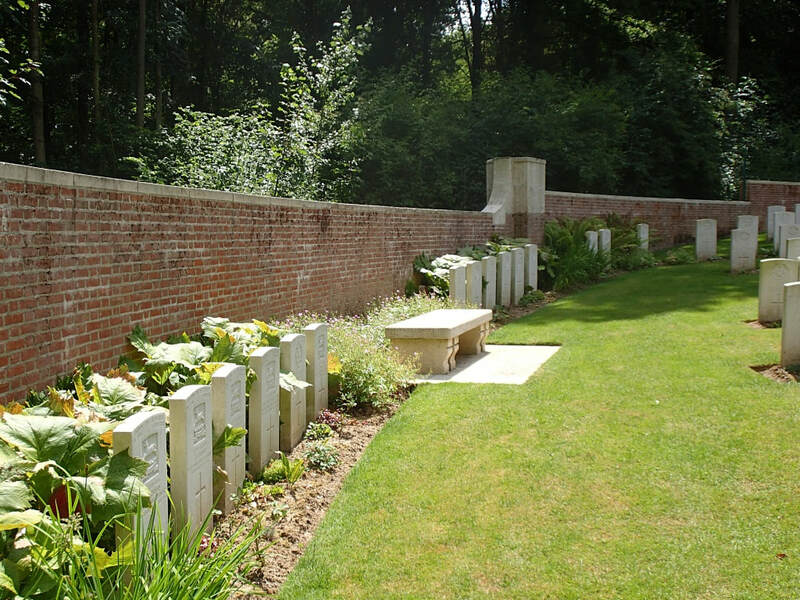 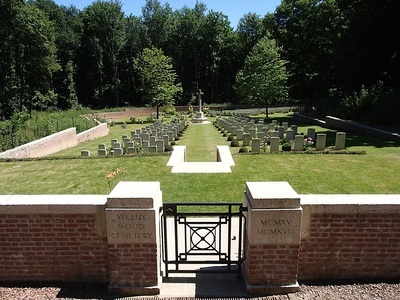 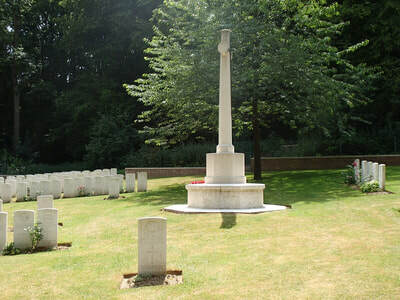 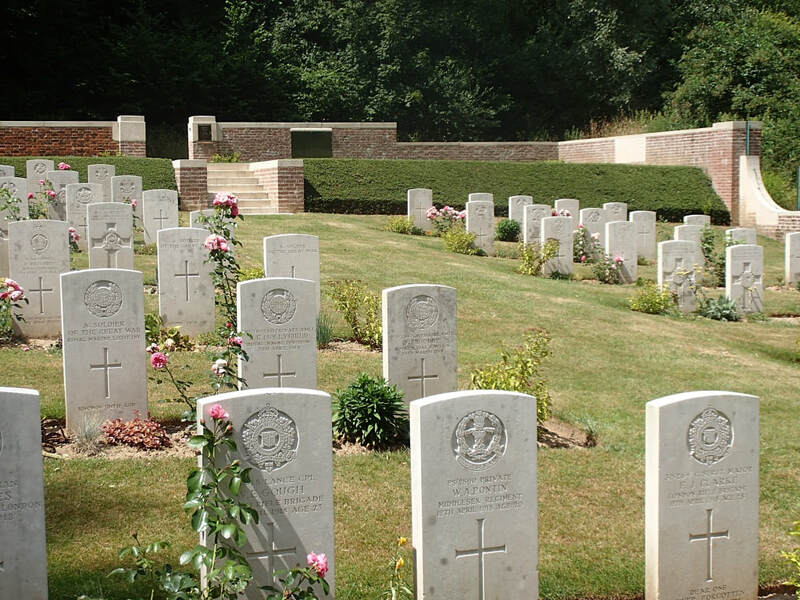 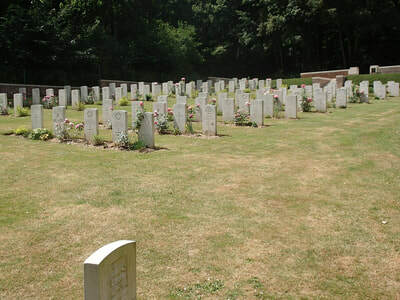 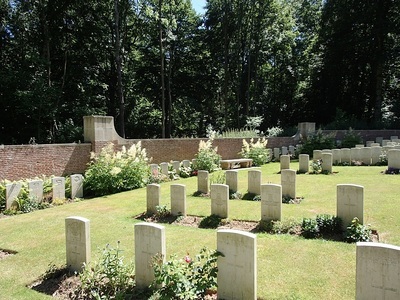 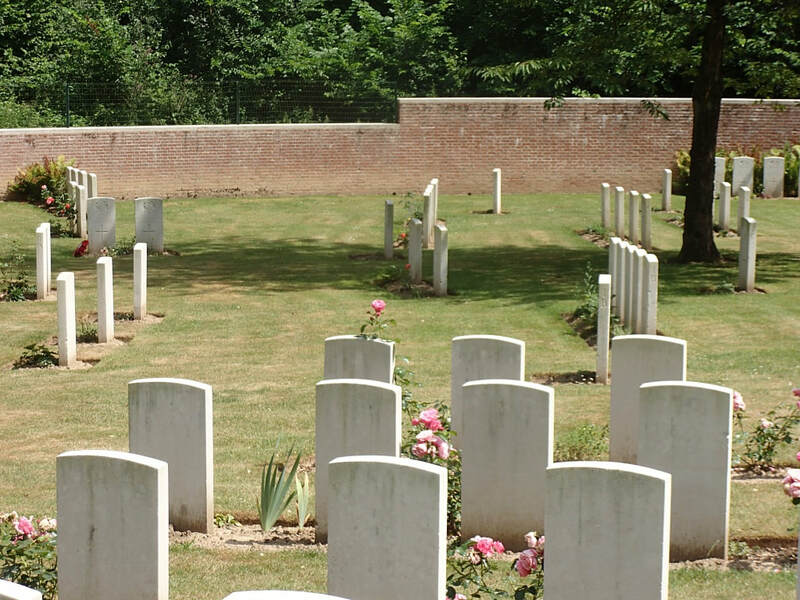 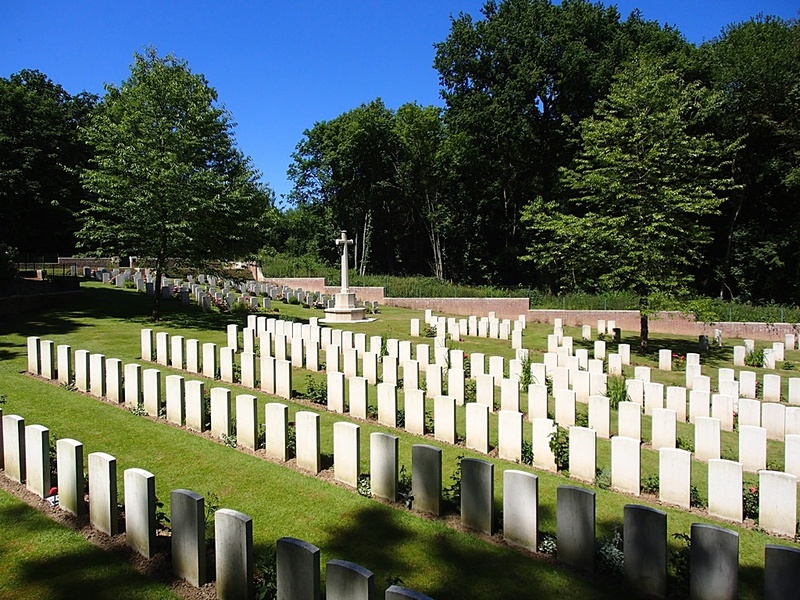 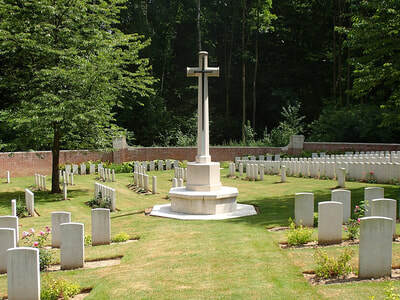 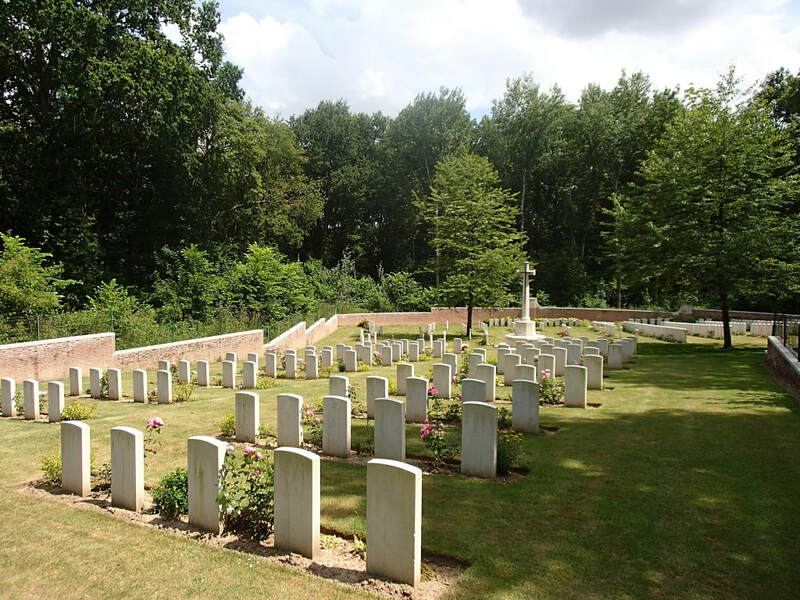 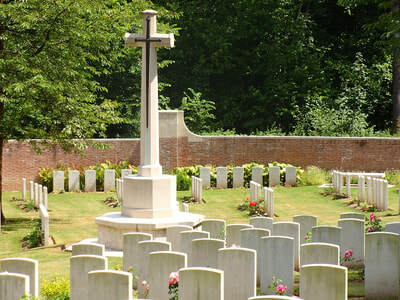 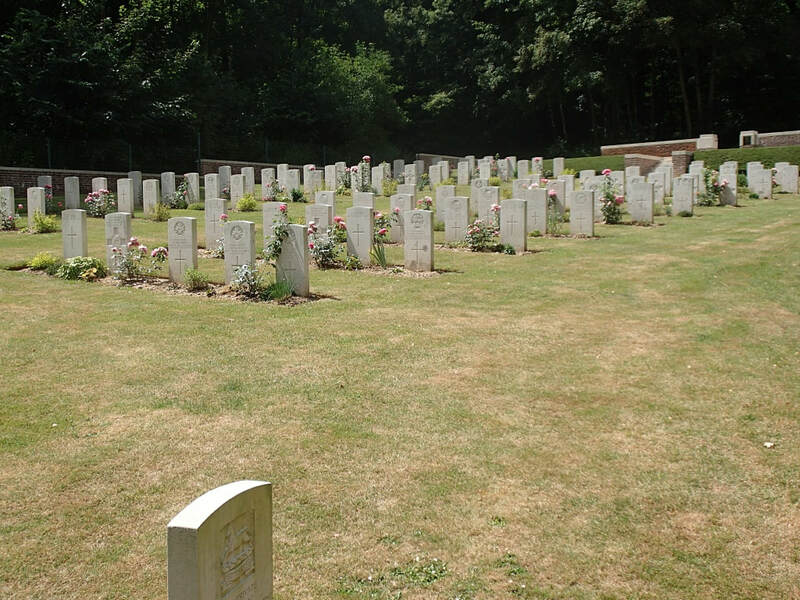 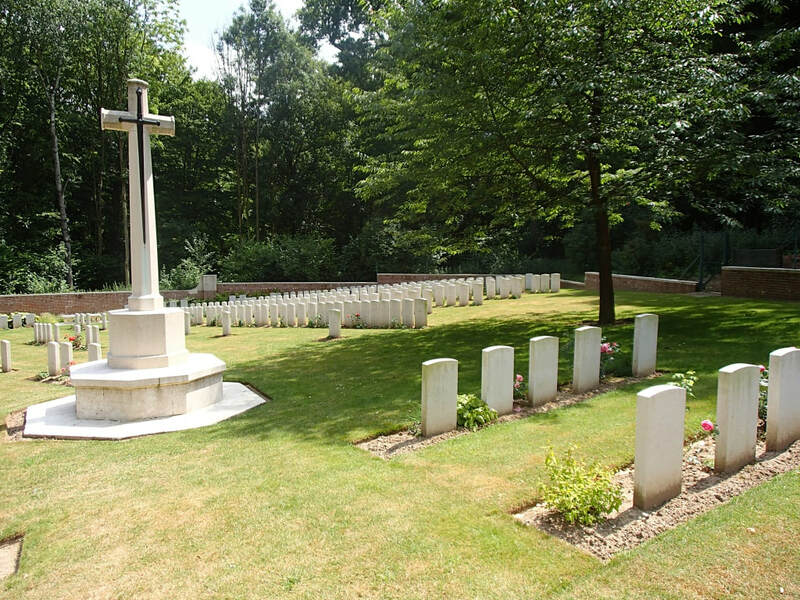 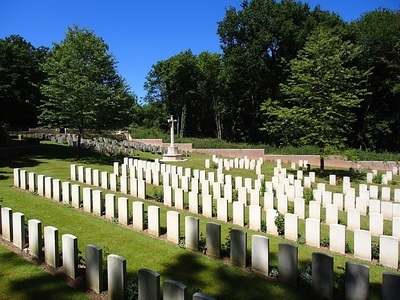 Aveluy Wood Cemetery now contains 380 burials and commemorations of the First World War. 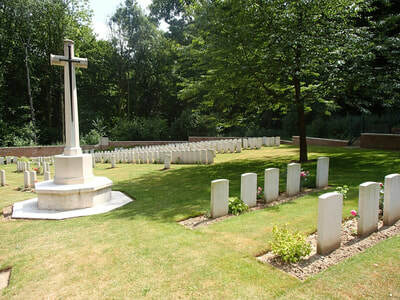 172 of the burials are unidentified but there are special memorials to 20 casualties known to be buried among them. 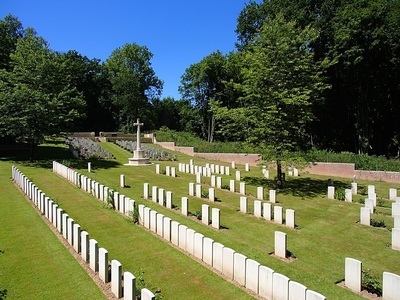 Casualty Details: UK 354, Australia 26, Total Burials: 380. 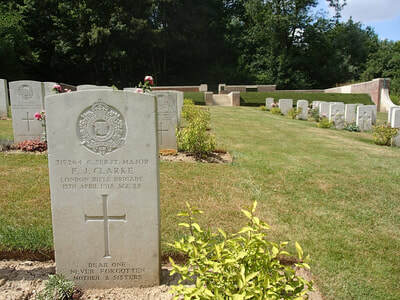 Son of Godfrey William and Mary Evangeline Hester, of Bridgetown, Western Australia. 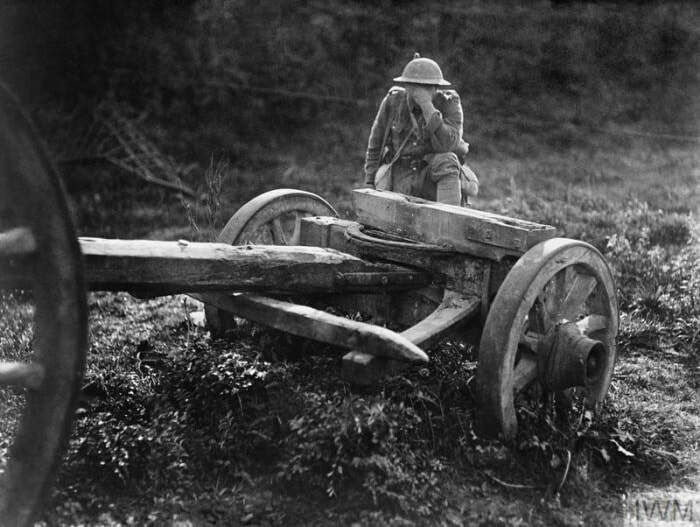 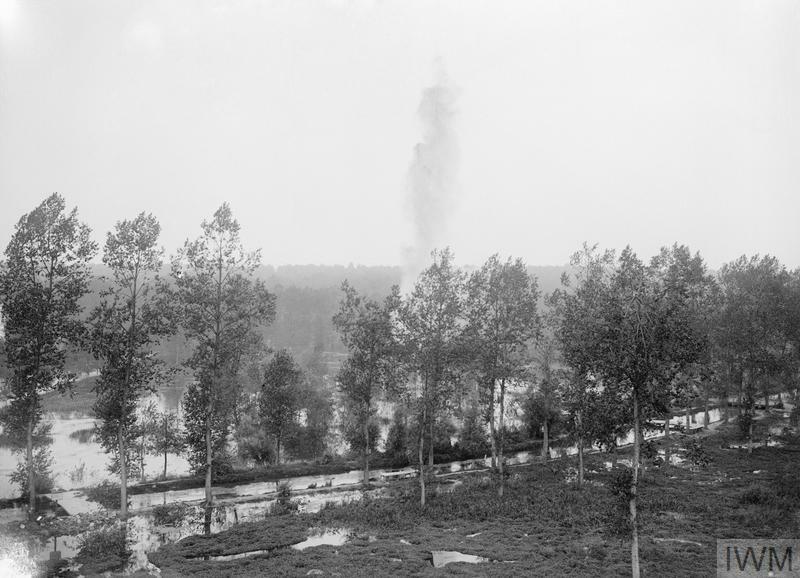 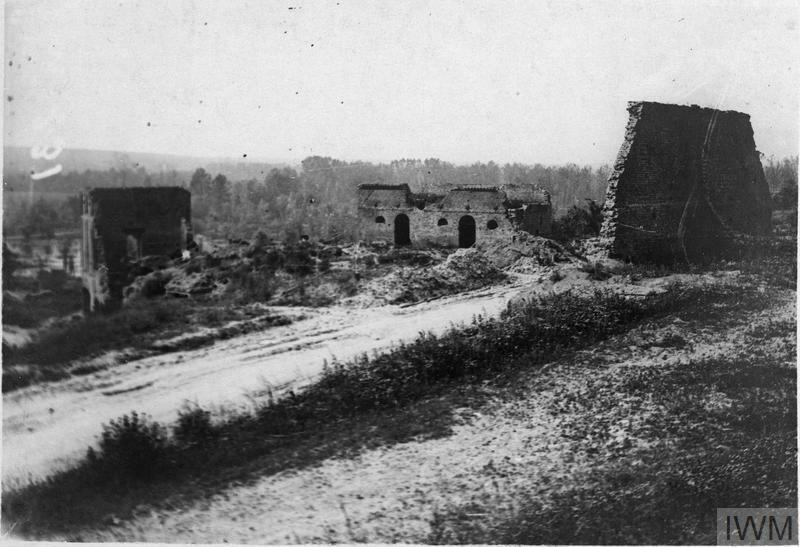 ​Shot through the stomach during an attack on Mouquet Farm. 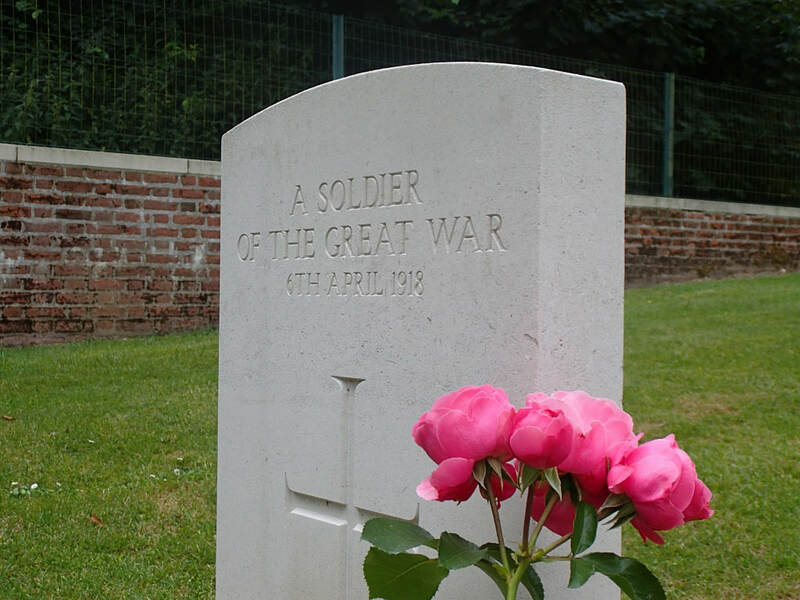 3rd September 1916, aged 21. 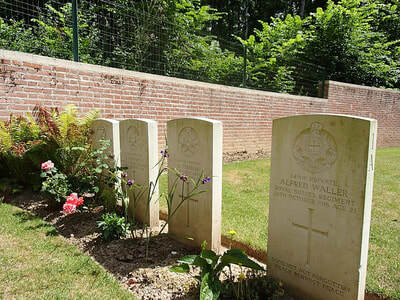 Son of Alexander and Jane Simpson. 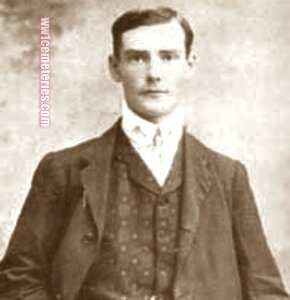 Native of Dunrossness, Lerwick, Scotland. 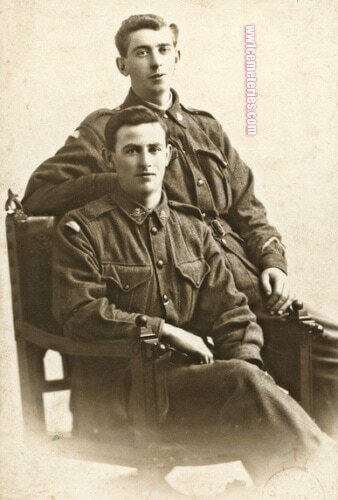 Studio portrait of 3118 Private (Pte) Malcolm Simpson (back) and his brother 3121 Pte Archibald Simpson (front). 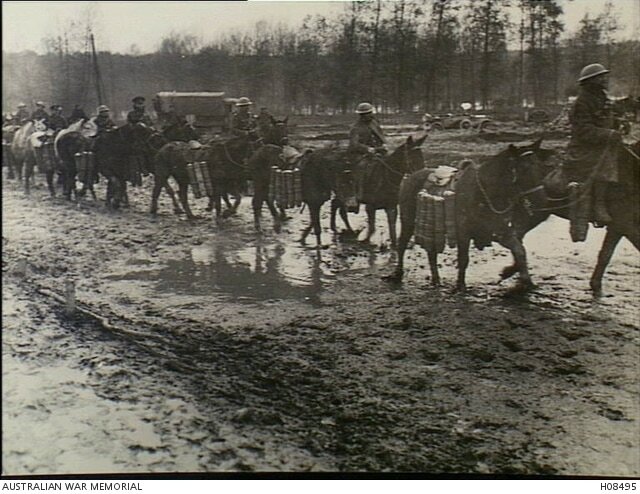 The brothers emigrated with their family from the Shetland Islands, Scotland to Fremantle, Western Australia in 1912. 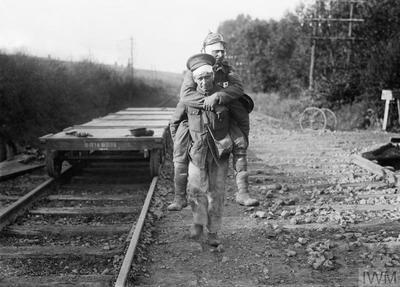 Malcolm, an engineer enlisted in the 11th Battalion on 5 July 1915; his younger brother Archibald, a carpenter, enlisted twenty-two days later. 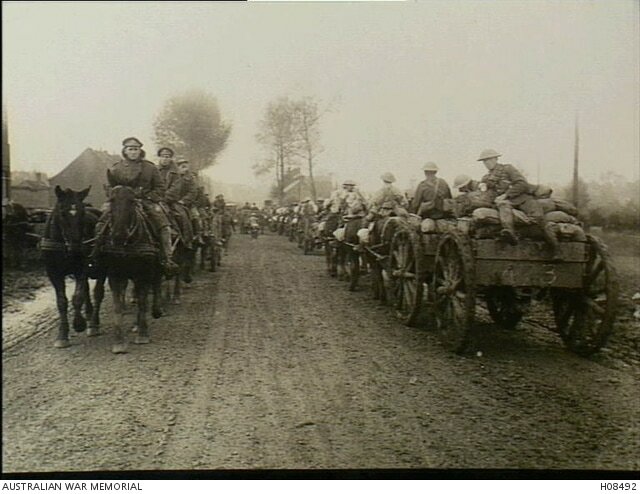 They embarked together from Fremantle aboard HMAT Themistocles (A32) on 13 September 1915, joining their unit in Egypt for training in early 1916. Malcolm was promoted to Lance Corporal in January 1916, and Corporal two months later. 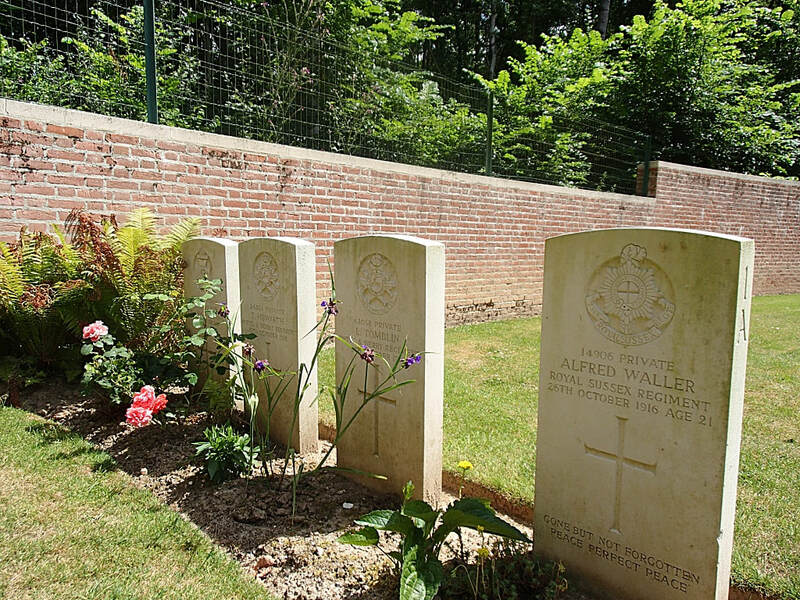 He was killed in action on 22 July 1916 at Pozieres and has no known grave and is commemorated on the Villers-Bretonneux Memorial. 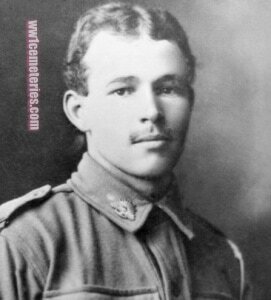 Archibald served with the 11th Battalion until early 1916, when he was transferred to the 51st Battalion as part of the 'doubling-up' of the AIF. He was killed in action on 3 September 1916 and is buried at Aveluy Wood Cemetery. 10th May 1918, aged 26. 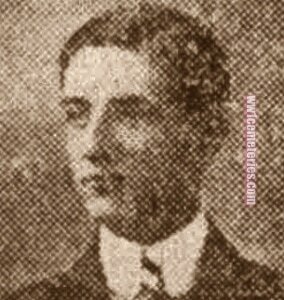 Son of Edwin John and Agnes Mary Vranch, of 8, Llanthewy Rd., Newport, Mon.